Snowy Owls...they're elusive, secretive, and a silent predator. Only a handful of animals can exist in the frigid, bleak Arctic region. The Snowy Owl has adapted to this open, perilous environment perfectly. Though the Snowy Owl is globally known, not much is known about their global population. Ongoing research will help tell more about these animals. Be sure to add your sighting to the Guestbook at the bottom to document your Snowy Owl sighting! Intro photo of Snowy Owl by Fool on the Hill. Snowy Owls are a bird native to the unwelcoming, icy Arctic Tundra. In the months of warmer months of summer, these owls will stay within the Arctic Circle range. 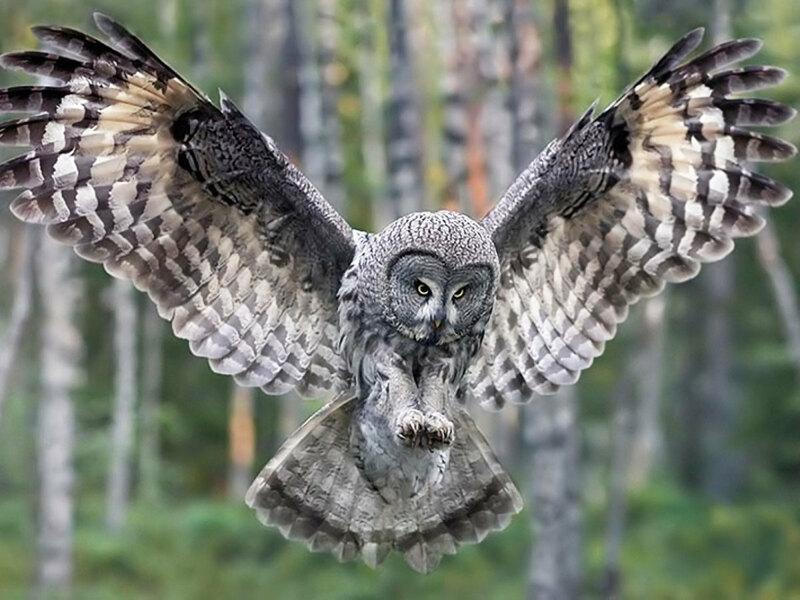 In the winter, the owls will migrate south to Canada, Russia, Greenland, Finland, Norway, France, and Scotland. They often visit the Great Plains of the Midwestern US. Some very rare cases documented migration in Florida, Texas, and internationally, South America and Bermuda. While venturing away from their home grounds, they typically will seek out areas similar to the Arctic tundra--wide open expanses, marshes, farms. Snowy Owls are seldom found in thick, tree-filled areas. These magnificent birds are typically white with brown markings, and bright yellow and black eyes. The male snowy owls are smaller and have fewer markings then their larger female counterparts, which can be substantially darker and larger. In the distance...a duck. In the foreground...a hungry swooping Snowy Owl! 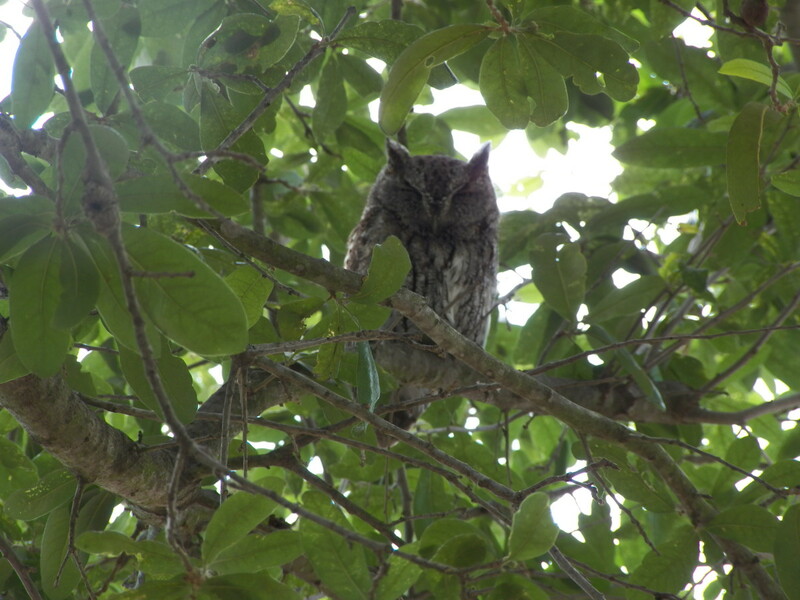 Once thought of by many as tuft-less owls, they have now been categorized in the same family as the Great Horned Owls. Though the snowy owls tufts (or ears, as some people may refer to them) are not always erect, they can be seen on occasion. You may be thinking this behavior these is related to hearing, but that doesn't seem to be true! However, they do seem to become erect when they get irritated. Snowy Owls typically are around 23-26" and between 40-70 ounces. A banding system helps keep track of some Snowy Owls across the world, but there are only so many volunteers and workers to keep track of this! 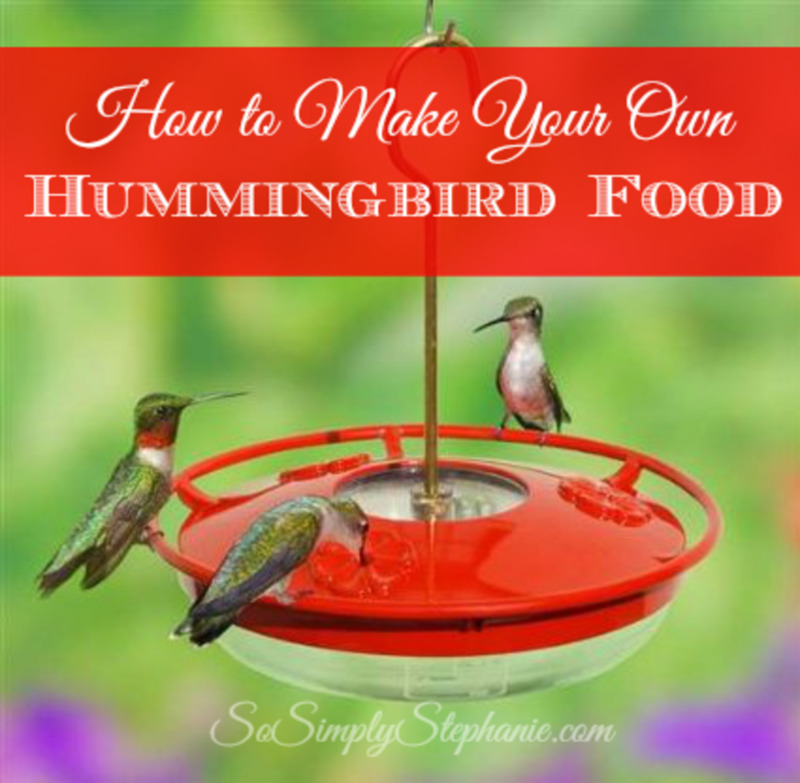 Since this bird is so secretive, this makes your first-hand accounts even more important. It's not easy to see a snowy owl, especially if you don't live near their migratory areas. Be sure to describe any sightings you've had of Snowy Owls in our guestbook below, as well as voting here! Have you ever seen a Snowy Owl (not including zoos, museums, etc)? Yes! I saw one once. Yes! I've seen them a couple of times. I look for them and see them regularly! I've never seen one, but I'd like to! Based on their habitat, Snowy Owls are generally seen perched on the ground, resembling flat grassy tundra area. An interesting adaptation for snowy owls is related to there being no trees in the Arctic for roosting. Therefore a snowy owl, like all owls, must stay alert and is never truly in a deep sleep. Since they roost on the ground, this is a large factor in why they must remain so alert. Snowys are constantly moving their head, checking out their surroundings ensuring that there are no predators nearby that may be looking to prey on them. They also have small, super-fine feathers. These are so fine, in fact, that some people may think that it is fur. This helps give them the ability to withstand very cold temperatures. 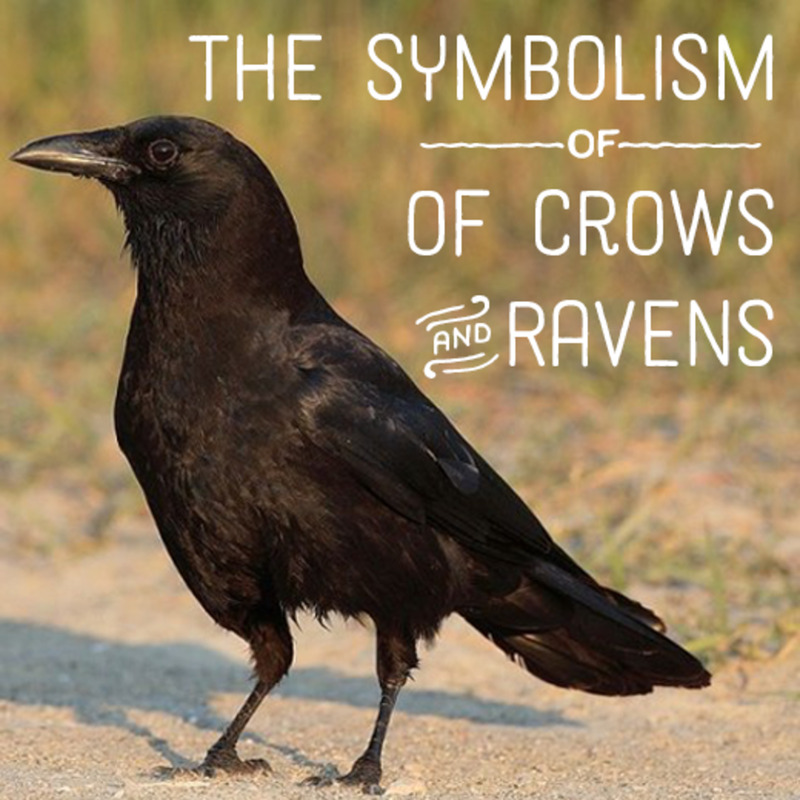 The feathers extend down the foot and toes of these birds to protect their feet from the icy grassland they call home. 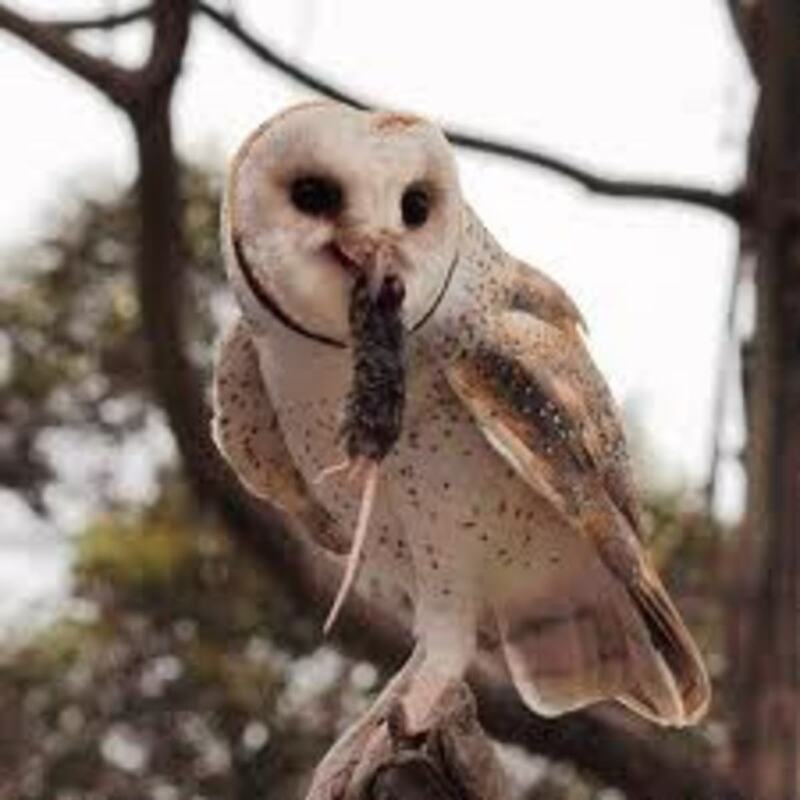 They have long pointed wings and hunt similar to falcons, taking prey on the wing. Snowys have super-strong toes to catch and crush their prey...around 200 pounds of pressure per toe! They're fast, too, for an owl-- around 70 mph! 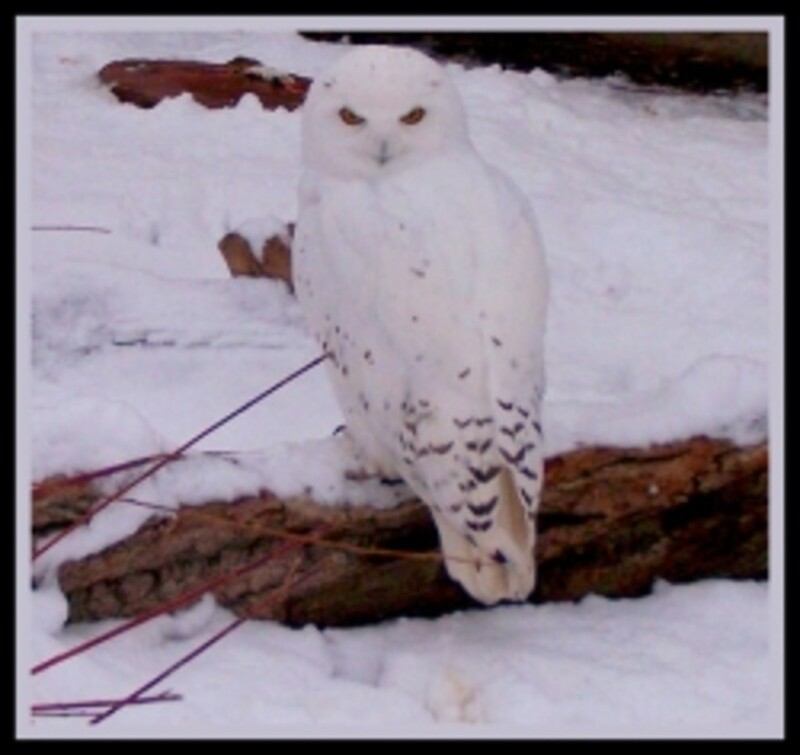 Snowy Owls on the Web - Check out these useful and informative Snowy Owl links! Here are more Snowy Owl links on the web! The Arctic Studies Center invites you to explore the history of northern peoples, cultures, and environments and the issues that matter to northern residents today. The Snowy Owl (Bubo scandiacus) is a large owl of the typical owl family Strigidae. 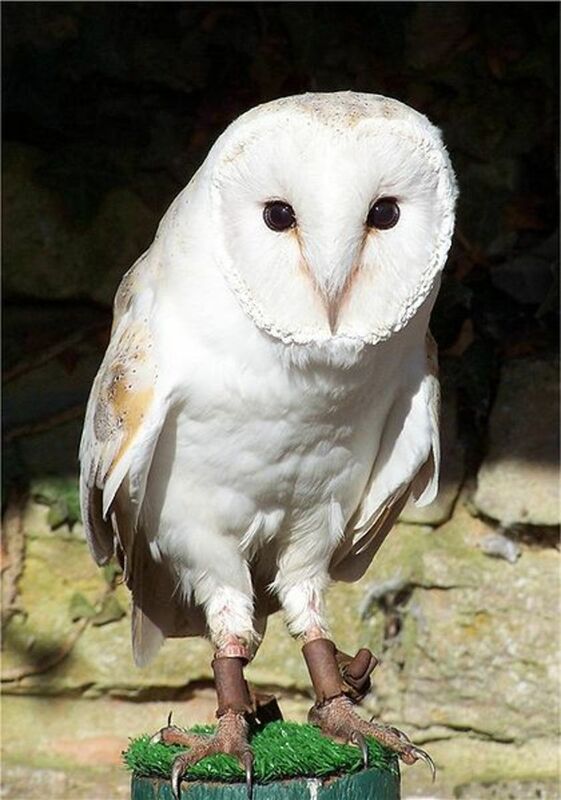 It is also known in North America as the Arctic Owl or the Great White Owl. Snowy owls typically feed on lemmings, mice and rats, though it has been documented that they will prey on black ducks, Canadian Geese, short eared owls, American Kestrels, Starlings, Great Blue Herons, and even other Snowy Owls! 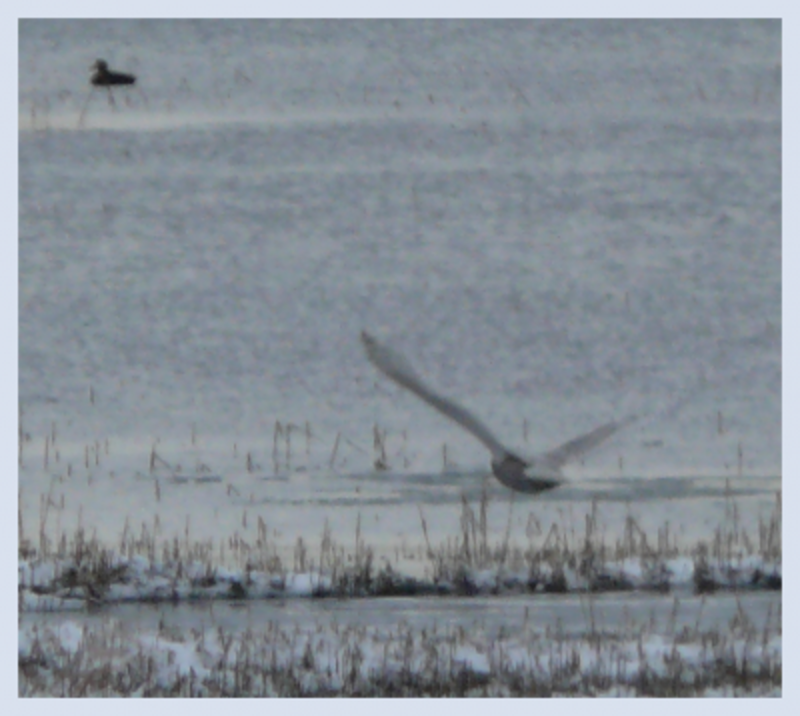 Snowy Owl Videos - See this majestic bird in flight! There are currently several projects being conducted in the United States studying the migrating patterns and breeding habits of the snowy owls. Some researchers have started using satellite telemetry to track Snowy Owls. to track these beautiful creatures between their wintering grounds and their breeding grounds. Not much is know about the global population of this species, so they are currently not labeled endangered. Satellite tracking will help us tell more about this elusive species. Snowy Owls are a federally protected species under the migratory bird act. See the links below for more information. Help get more satellite trackers on Snowy Owls so more can be learned about this elusive species! Visit this page, and be sure to specify "Snowy Owl Project" as the project you wish to support when donating! Photo right: by Steve B. 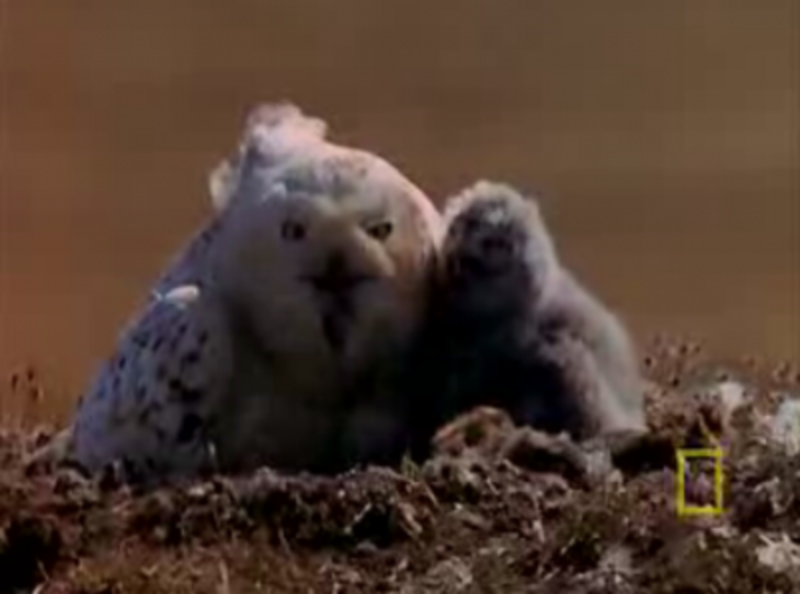 Snowy owls breed in the Arctic Circle range, often in Alaska. Barrow, Alaska has been a huge Snowy breeding ground. In a lifetime, females will breed 1-9 chicks. If prey is scarce, they will not breed that year and wait it out until the next year. Eggs will be incubated in rotations to ensure different hatch times, therefore increasing the chance of survival. Snowys will have different mates each year, and do not mate for life. Recommended Snowy Owl Books - Read more about this amazing Arctic bird! Read up more on Snowy Owls with these Amazon books! Snowy Owls: Whoo Are They? How can you Help the Snowy Owl? Snowy Owls are so elusive that it's important to document sightings! This will help establish their range, where they are at certain points of the year, and ultimately, will help determine a global population. Spread the word about Snowy Owls and keep them educated! Please leave any Snowy Owl sightings in the Guestbook at the bottom of this page. How Will Global Warming Affect Snowy Owls? Loss of habitat due to rising sea levels will surely not be to Snowy Owls' advantage. Be sure to read the World Wildlife Federation's recommendations on stopping global warming. To help them, we need to learn more about them! Help by donating to the Snowy Owl Satellite Tracking Project! Like Snowy Owls? Have you seen one and would like to share the experience? Help document them by telling us about your sightings! Just want to say hello? Drop a line here! Do you have a Snowy Owl picture of your own you'd like featured here? Contact us and we can possibly include the picture along with a link to your page right here! These informative owl guides, childrens books, and owl stories are some of the best ones out there on the Snowy Owl, as well as other owl species. Plush squeeze bird which sounds off the real bird call. Enjoyment for kids and adults alike. 6.00 inches tall x 4.50 inches long x 9.00 inches wide. Harry Potter Plush Hedwig Owl - Stands 8 inches tall - hurry while supplies last! The Noble Collection Harry Potter Hedwig Plush 8"
Harry Potter Hedwig Plush. This adorable plush measures about 8 inches tall and 7 inches wide. This ultra soft owl captures Harry's pet perfectly and is recommended for ages 8 and older. Snowy Owl Build-A-Bear Workshop - ~ 50% donated to First Book for every purchase! This stuffed animal owl can turn it's head! For every purchase of Turner Owl we will donate 50% to First Book to provide new books to children from low-income families &amp; 50% to the Build-A-Bear Workshop Bear Hugs Foundation to support other literacy &amp; education programs. Ty Beanie Baby - Summit the Snow Owl - ~ Quality plush stuffed owl from Ty! Inside the tag reads: I just love soaring way up high As if my wings could touch the sky Don't worry, I'll swoop down again Because I've spotted you, my friend ! Webkinz Snowy Owl - ~ Go online with your virtual pet! Have you Ever Seen a Snowy Owl? - Tell us about your encounter with this bird here! The Snowy Owl is such a magnificent and beautiful creature. This lens was discovered because I just published a lens on the topic of global warming and it appeared under the "Explore Related Pages" section. It is certainly worthy of the Purple Star. The Snowy Owl is my most favorite animal ever sense i was little, I've always loved them because they always blend in with stunning white snow. Plus their amazing yellow sharp eyes. The Snowy Owl is great animal to us, and I'm so happy we have them here on planet Earth. They are beautiful creatures. I am fan of owls for many years now but haven't seen snowy owl yet. We saw many snowy owls in Ocean Shores washington at Damon Point this morning. Snowy owl viewed from Nisqually Reach Nature Center 2/3/12 in Washington State. Huge bird easily see with the eye. Deep wings, full body and rounded head. Very white with some grey. Wingspan very broad from tip to tip. Awesome sight! Returning with a blessing....hopefully it will help keep the Snowy Owls safer as they are at such risk as they are dropping there range this year with a mass migration to the northern United States. It was a treat to see this excellence once again! What a magnificent creature and you have done a remarkable job with this lens. Blessed and featured on Blessed by Skiesgreen 2012 and also on Save Planet Earth. I enjoyed this lens so much that I came back to bless it. The amazing big horned owls live here where I live. I was fortune enough to see a Snowy Owl one winter. I almost missed seeing it because it blended in with the snowy landscape. Blessed by this angel. 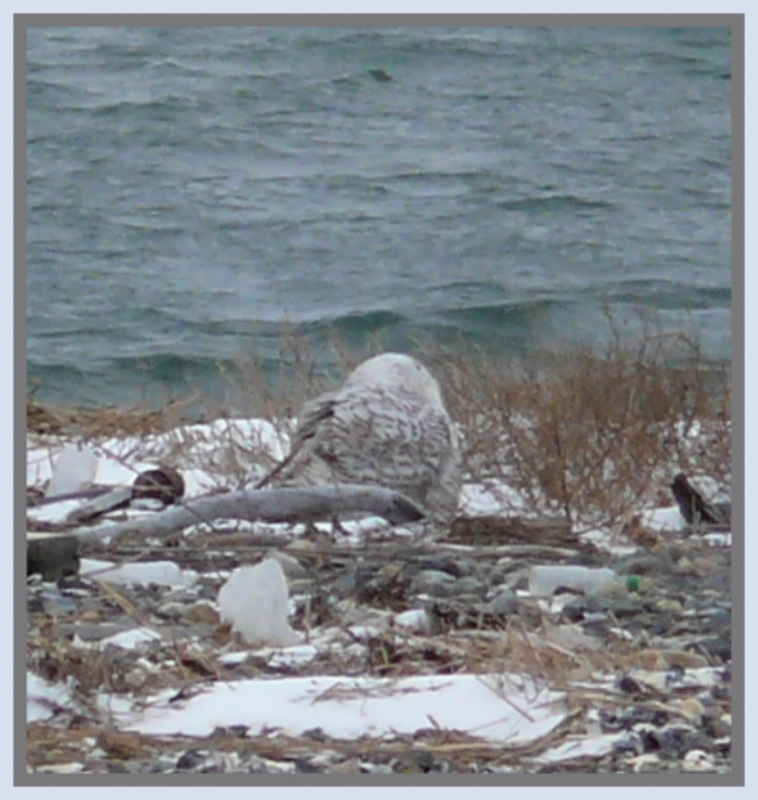 11-14-2011: We saw a snowy owl perched on a mailbox on Neebish Island , which is in Michigan's UP. It was amazing. We were driving by, saw it, backed up to look at it again and possibly get a picture and it flew away . Wow! Great INFO FOR MY SNOWY OWL PROJECT!!!! Lovely lens - really enjoyed these owl pictures - have never seen one in person! I'd love to see a snowy owl sometime! I don't think they come to east central Iowa, though. *Blessed and listed on my Creative Squid blog. Wow, you have some really gorgeous Snowy Owl photos!! Beautiful and informative lens!! I live in Western NY (Rochester area) and snowy owls sometimes come down here in search of a meal. One was in the area last week, but unfortunately I was not able to go and look for it. Cheers! Great lens! Never seen one in the wild, but have been close to them at falconry displays. 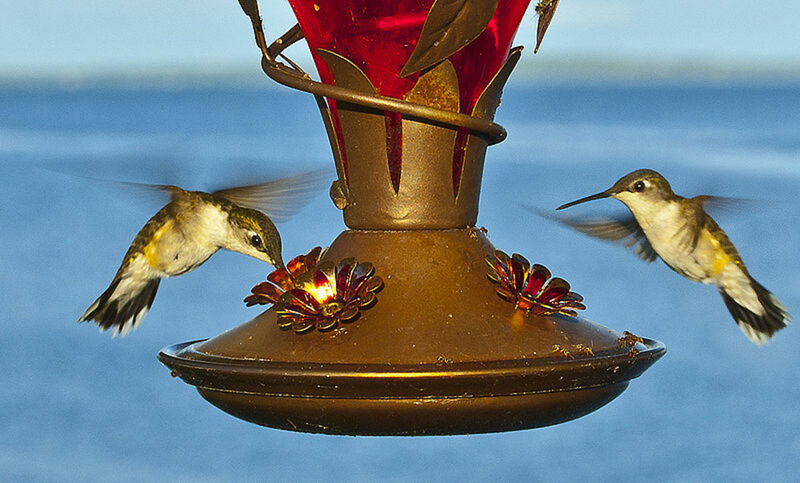 Their feathers are beautiful! Blessed by an All Fools SquidAngel. I had never seen a Snowy Owl prior to this winter, but starting before Christmas I feel almost as if I am followed by them. I work a swing shift and am drive home often about 2am. I find myself keeping an eye out and seeing them sometimes multiple times a week. What a sight they are! I live in Washington State and have heard that they seem to disappear after about mid March in our region. I'll miss their company on the drive home and am looking forward to next winter, when hopefully, we can meet again! This is so beautiful, very well organized lens. Fascinating lens. Thank you for a look at this beautiful creature. Such a beautiful lens on owls, the photographs are feast to eyes and reading the lens is satisfying. Perfect tribute to the white beauties - the snowy owls. What a beautiful creature! You have a wonderful collection of photos that show how magnificent the Snowy Owl really is. Congratulations on your purple star. The pictures you have are very nice, they are cute. So many amazing creatures. SO BEAUTIFUL! Lensrolled to Owl Shirts and Gifts. We would see Snowy Owls now and then in the winter at Kabetogama growing up but I haven't seen one now for many years ~ it is a thrill every time! You did the Snowy Owl proud here, beautiful! A beautiful portrayal of a magnificent bird. Best wishes in the New Year. Great Lens! I love all the pictures. Snowy Owls are such beautiful creatures! Thanks for the wonderful pictures and information. What a fabulous lens and, no, I've never seen a snowy owl here in Australia. 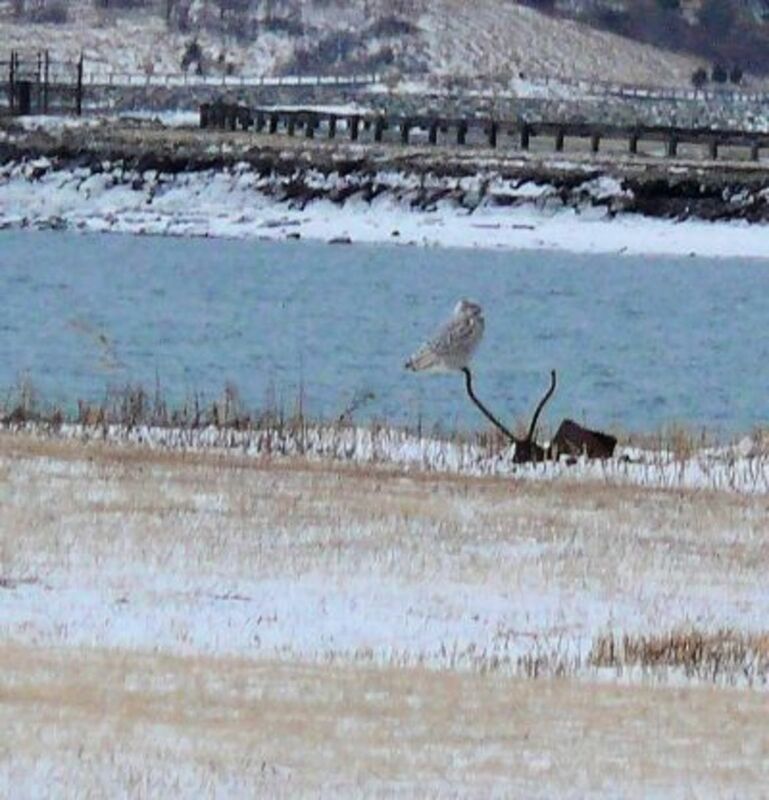 I'll never forget seeing a Snowy Owl on the Buffalo, NY waterfront with my father. You could see that beautiful white male plumage 100 yards away. Unmistakable. I keep my eyes open in hopes of seeing another Snowy White Owl. April 17, 2008 Jacksonville, FL â I was at the Rush Concert @ Jacksonville Veterans Memorial Arena when I stepped outside and saw quite distinctly a large snowy owl flying inland--it was breathtaking! Love the lens! I love owls because my great grandma collected them. I made a lens devoted to her and owls. The snowy ones sure are beautiful, maybe when I vamp it up I will add some of them on there! 5* from me! I would love to see one someday... seems like I might have a chance in my neighbor state of Michigan? Fantastic lens just loved It! What a beautiful bird and I would love to see one oneday! I've long been a fan of your lenses, and your community work here at Squidoo, but I have to say this is one of my favorite pages! Be sure to add all your animal pages to the SquiZoo group! Blessed and the works! What a beautiful lens. This family absolutely adores owls! I wonder if it may get even more traffic if you were to add a module about the most famous snowy owl in the world (as in Harry Potter)??? Blessed by an angel who would love to have wings like a snowy owl! Believe it or not, I saw a Snowy Owl in Lancaster Pa--It flew at my window as I was speaking to my brother on the phone about my recently deceased mom, about 20 years ago. Gave me the thrill of my life. Several weeks later I was pondering this experience and thinking about my mom when a book fell inexplicably off the bookshelf. It was a bird book and was opened to the page about the Snowy Owl. Great lens about a Mighty Powerful Bird. A few years ago I saw a Snowy Owl peeping out of a large hole in a tree about 20 feet up from the ground. This was right in the middle of town on the hospital property near Fountain Lake. It was a beautiful sight to see. There are very nice pictures on this lens. You are doing a great job. What beautiful images! I've never seen one, may never be near their habitat, and wouldn't want to see one in captivity, so thank you for this lens. Lovingly done, well-structured and written. Thank you, too, for including information and links about the effects of global warming. Nice photos. Those snowy owls are really beautiful birds. I have a watercolor painting that I did of a snowy owl. If you want a copy for this lens, let me know and I will send it to you. Love them. Very beautiful pictures. Loved it. 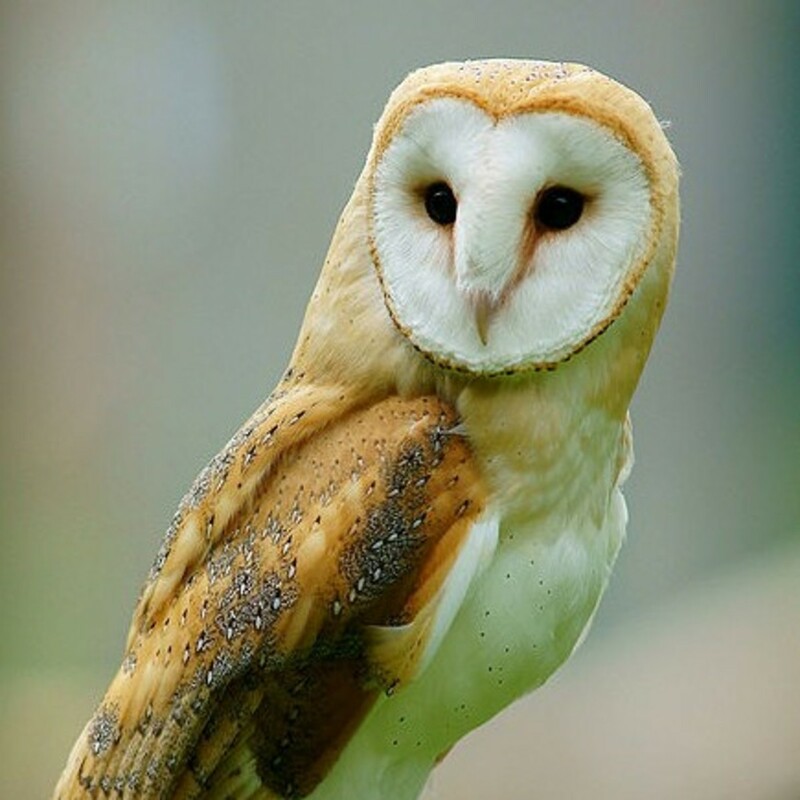 Beautiful lens abouit a beautiful creature 5 hooting stars for you! I learned something new -- "Snowy owls typically feed on lemmings, mice and rats, though it has been documented that they will prey on black ducks, Canadian Geese, short eared owls, American Kestrels, Starlings, Great Blue Herons, and even other Snowy Owls!" OMG, I seriously had NO idea that they had such an appetite!!! Kiwi, those pictures are so beautiful, as are the snowy owls, very nicely done! Wow, the photos are great, such gorgeous birds. So Beautiful! Very informative and the pic were perfect. Great lens! Hi, ou were just over to visit Tipi, so I followed you home and found that you have a bunch of topics I'm sure to enjoy. I have seen 5 Sowy Owls over the years. They are so magnificent that you never forget--my first one was when I was about 7 and I saw one last year--that is almost 50 years apart. Very nice lens you have here! Stunning, beautiful and stealthy creatures. Living in the US, Northern Midwest (WI) I saw a magnificent Snowy Owl swoop, silently within feet overhead once as a teen. It was an amazing experience that has stuck vividly in my memory. Oh my gosh, they are so pretty! Thanks for the work you've put into this. Superb! Very nice lens! I have never seen a snowy owl, but they sure look beautiful from the photos. Thanks for your emphasis on conservation. 5*'s. Fabulous lens. I have lensrolled it to Halloween - Why Cats, Bats.... Welcome to the Naturally Native Squids group. Don't forget to add your lens link to the appropriate plexo and vote for it. They are predators to lemmings, small rodents, birds, even Arctic foxes. the predator of the snowy owl includes humans, a sneaky Arctic fox perhaps. Great lens, very informative, I really appreciate your effort. I live in the B.C. in the Okanagan Valley. A male snow owl killed a robin which I had been watching. It happened in early springtime last year. Boy, was he fast! That Robin didn't have a chance. I enjoyed your lens. 5 stars, favorite, fan and lensrolled to my lens. This lens is great, very informative, thank you. Beautiful birds! Very nice lens - I learned a lot! Though we are terrified to visit the Lemmings believe that you have done a great job on this lens and want to let you know that there is a new group being formed in Squidooville. It’s called A Walk in the Woods. The exposure that your lens gets by joining will boost your lens rank and add to the number of web pages linking to your lens. Come take A Walk in the Woods. Great Lens! I love studying the birds of prey, but the Snowy Owl is one I never expect to see. I love all of your lenses! Kiwi, another beautiful &amp; immformative lens! Five paws up from Our Gang! !